There is a “new school” of winemakers in Burgundy. In the vineyard, they’re focusing on more sustainable methods of cultivation while endeavoring to grow the most promising fruit. In the cellars, they are aiming to make wines as precise as possible (tasting more of terroir than fermented grape juice), and gently extracting finer tannins that allow the wines to be consumed younger yet still capable of long-term development in the bottle. This year we’ve already explored wine from two of these Burgundian young guns: Sylvain Pataille in Marsannay and David Moreau in Santenay, from the extreme north and south of Côte d’Or, respectively. It’s only a geographical coincidence that we’re now highlighting an exceptional young winemaker working between the two in Beaune. 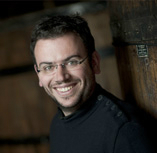 David Croix was hired on as winemaker at Maison Camille Giroud while still in his early twenties. Along with his work making the wine, he soon went on to become managing director, gathering plenty of good press along the way, including emerging talent of the year in 2008 by respected magazine Bourgogne Aujourd’hui. In 2005, with a few investors, he purchased property adjacent to the Giroud holdings and started making wine under his own name. The vineyards of Domaine des Croix consist of parcels in Savigny, Pommard, and Corton-Charlemagne, plus five Beaune Premiers Crus; Teurons, Grèves, Cent Vignes, Bressandes and Pertuisots. They are all in process of converting to full organic cultivation. Production is tiny, with an average of only 1,500 cases produced annually. This Saturday we’ll be pouring samples of 2011 Domaine des Croix Beaune Premier Cru Les Bressandes from what industry folks are calling David’s best vintage yet. Here is a wine that just about hums with precision. Violet and spice twist out of the glass in little vortices of intoxicating aroma. 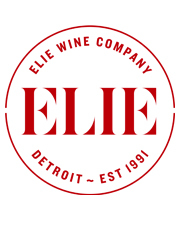 A sip is all concentrated fruit that spreads out into fine-grained tannins and a persistent finish. You’ll want to stop in for a rare chance to taste this wine. We have just a few of the mere 280 cases produced. We’ll also have a few other wines from Domaine des Croix for purchase including Beaune Premier Cru Les Cent-Vignes, Corton Grèves Grand Cru, and we even have a case of the white Corton-Charlemagne Grand Cru, of which only 70 cases total were produced.